Officer John Scroggins succumbed to injuries sustained the previous night when he was struck by a hit-and-run driver while directing traffic at the scene of an accident on Longview-Kilgore Highway. A suspect was arrested shortly after the incident and was charged with murder after Officer Scroggins died. Officer Scroggins had served with the Kilgore Police Department for 5 years. He was survived by his wife, son, parents, brother, and three sisters. 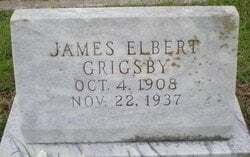 He is buried in Huntington Cemetery, near Lufkin, Texas. Precinct 3 Constable Elbert Grigsby of Tatum in Rusk County went to question Angus Williams about a recent burglary in nearby Panola County. Williams and another man were standing together as Constable Grigsby approached. Williams fired one blast from a single barreled shotgun loaded with No. 4 shot that killed Constable Grigsby. Williams fled to his home. A posse of 150 men was searching for Williams, but heavy rain obliterated the trail. Williams decided he could not escape and shot himself in the head with his shotgun the next day. Williams was an ex-convict who was sentenced to 99-years in prison for killing his wife in 1923. He had been recently released on parole. Constable Grigsby, 29, had served 9 months before being slain in the line of duty. He was married but no report of whether he had any children. His parents survived him as did numerous brothers and sisters. 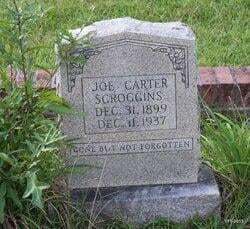 He was buried in the Harmony Hills Cemetery in Rusk County. In 1937, the constable for Tatum in Rusk County was elected in Precinct 3. 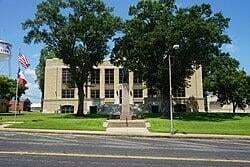 Today, Precinct 2 covers the Tatum area.